Built by the Reverend Thomas Sharpe in 1845 soon after land became available in the Bathurst area, Miss Traill’s House and Garden is named after Ida Traill who lived in this pretty Colonial Georgian bungalow from 1931 until her death at 87 in 1976. Ida Traill was a descendant of early settlers in the region. The home Ida is today an elegant house museum containing Ida Traill’s significant collection of artifacts relating to four generations of the Lee and Kite families. 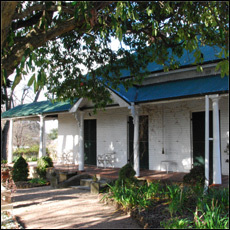 Ben Chifley’s cottage was the home of the former Prime Minister of Australia (1945-1949). 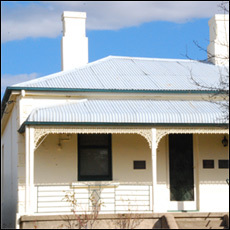 After Ben Chifley was elected to parliament, he continued to be involved in the local council and retained his home in Bathurst where his wife Elizabeth stayed when he was away in Canberra. Although the home contains memorabilia of Ben Chifley’s years in office as Prime Minister of Australia, it also retains the simple furnishings that demonstrated the lifestyle and projected image of Chifley as a ‘plain man’.